She was holding on to hope and faith, like any good mother, knowing in the back of her mind it is essentially not up to her. That anything can and will happen. She had been there many times. Yesterday my sister-in-law was having an especially tough day, so I sent her a letter and some inspiring quotes to post around her house to help her remember she is not alone and that this experience is a time for growth, hope and faith. 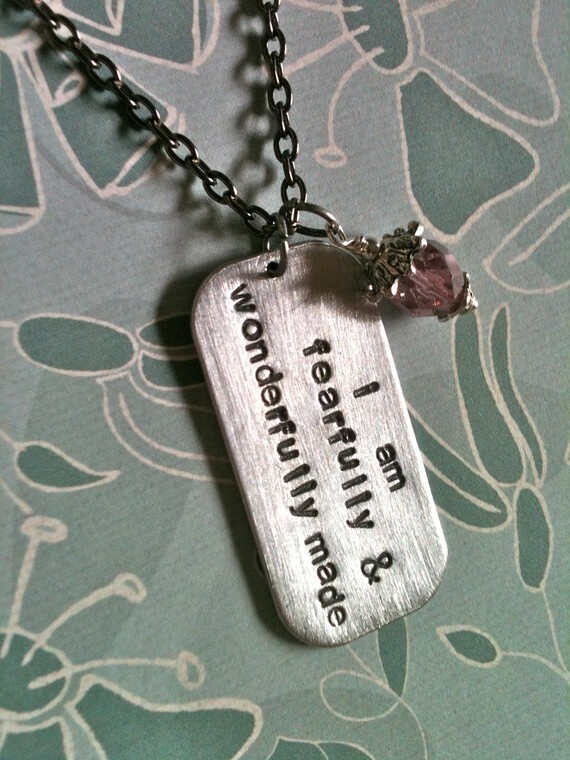 One of the images was the one above–I am fearfully and wonderfully made. When I saw this image it reminded me of the humility we need to have through life. Every day, every moment is a gift that we are given. Life experiences may be scary or cause us to be fearful, but through those moments we learn so much. Through these experiences we learn the important things like faith, hope, true love, empathy, gratitude, sacrifice, etc. We learn the lessons our soul seeks to devour. It is through these faith building moments that we know we are not alone and that God is there to hold our hands. That fear can turn to an ah-filled wonder and that is where we find grace and humility. I want to send her my best wishes and blessings. Please send her a blessing if you have a moment. Thank you.